Investment can directly improve the property power, and it is also one of the most important methods for increasing your power. By building a “Invest Center” and clicking on the “Invest” option, you’ll be able to start investing. Properties are divided into 6 categories: Resources, Criminal Enterprises, Equipment, Advanced Arms, Turf Defense and Crew Capability. “Resources” property can increase production speed as well as Robbing speed of resources. To upgrade Mansion, building and train crews, a massive amount of resource are needed. As such investing on “Resource” property is the most basic of the need to do list. 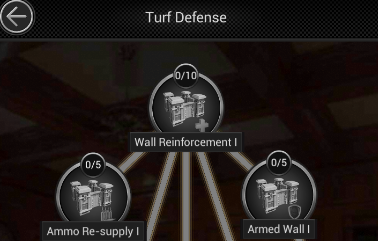 “Turf Defense” property improves the Mansion’s (as well as crew’s) ability to defend and etc. Within this property, there is the “First Aid”, which is capable of turning 10% of the loss crews to wounded, thus greatly reducing losses. “Criminal Enterprises” property can improve crew’s load, building speed, crime ops marching speed, Hospital capacity and etc. More importantly, the “Hospital Expansion” can greatly increase the max amount of wounded. 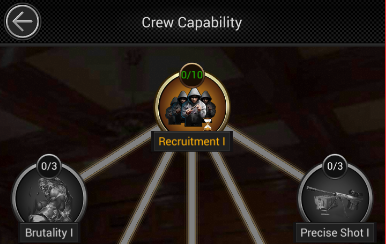 Crew Capability can improve the crew’s stats, for example, the “Crime Ops Crew” can increase the amount of crime ops team you can send out. While “Leadership” can increase the amount of crew a single crime ops team can have. Investing in Crew Capacity can greatly increase your combat ability. Why should I build up my Turf (Upgrade Buildings)?